Media Player Classic - MPC , Media Player Classic is a media player source code free and lightweight for users of Windows . It supports all video and audio formats are available for playback . iTunes , iTunes is a free application for Mac and Windows , allowing users to organize and play music and video on your computer . GOM Media Player , GomPlayer program is one of the best free music today. It can play almost all music formats that you do not have to install additional codecs anything, they were bundled together inside it. Nhaccuatui , With Nhaccuatui Windows , you will experience a music style completely unique new in Vietnam . You can just listen to the latest songs , hottest , while they can enjoy a selection of quality playlist according to different themes depending on the mood . 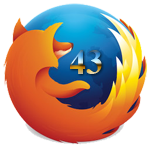 Firefox , in the latest version of Firefox 43 is allowed to browse without being watched like on Chrome , Safari or Microsoft Edge .